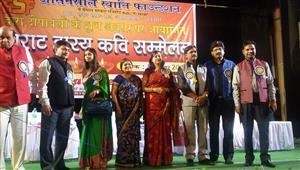 State Bank of India organised a Hasya Kavi Sammelan on the occasion of its Foundation Day. 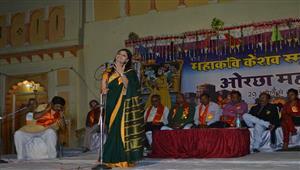 State Bank of India organised a Hasya Kavi Sammelan on the occasion of its Foundation Day. 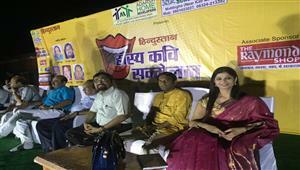 The two most popular Hasya Kavi of the present times, Surendra Sharma and Shambhu Shikhar were setting the stage on fire with their hilarious jokes and Hasya Kavitas companied by their amazing expressions. Surendra Sharma and Shambhu Shikhar are the two names that require no introduction because of their huge followers and listeners. Both of them have an amazing capability of taking the audience on a roller-coaster ride of laughter. Their Hasya Kavitas mesmerised the entire auditorium. 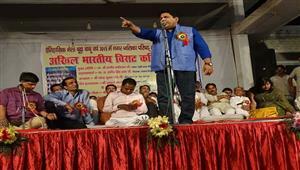 People were cheering for once more repetition of one the most famous muktak of Shambhu Shikhar, "Mehfil mein kabhi siskiyaan achchi nahi lagti...". 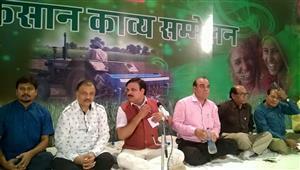 Hasya Kavi Shambhu Shikhar also presented his new muktaks regarding "notebandi" and " aazam ke kaan par lagaate chaar kyu nahi". For a couple of hours, people burst into laughter. These Hasya Kavi build a stress-free environment for the bankers as well as their family too. Two hours of laughter dose was so amazing. These experiences of listeners with Shambhu Shikhar are turning him into an amazing stage performer since last two decades. The entire auditorium was echoing with the loud claps of appreciation. 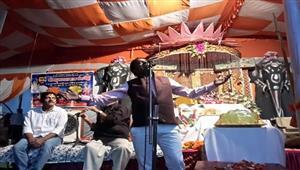 Shambhu Shikhar's latest compositions were very much appraised regarding "notebandi" and "Aazam Khan". If you too want to fill your functions and occasions with the colour of smiles and bursts of laughters, book your favourite hasya kavi or an entire hasya kavi sammelan by clicking on to www.kavisammelankavi.com.